The "grip me and never let go" factor doesn't kick in until you have endured the first 20% of this book. I would provide you with exact page numbers, but due to the fact that I read this on my Kindle, sadly they are not available. Needless to say, the fun doesn't start until Humpty Dumpty (or in this case MILA) has quite a great fall and has to be put back together again. "What do you mean I'm not a real girl?" Up until said fall readers have to deal with a past that Mila herself isn't too sure of, a dead father that she remembers...sort of, and a mother who doesn't really act like one. The most interesting aspect of life for pre-fall Mila comes in the form of her insta-bestie Kaylee, who is very quick to throw her over (literally) for the first cute guy to cross her path. Hunter is the last good thing to happen to MILA before her wold explodes. He is her last tangible link to her life as a "real girl", and as such he becomes her touchstone when circumstances and her former handlers in government do their damnedest to strip her of her humanity. As such, he is not a love interest in the traditional since, but more of a reminder of what could have been or what may be if she survives. The transition from misunderstood teen on the brink of romance to cutting-edge killing machine on the run from the government takes place in the blink of an eye. From there the takes a much more believable turn and the pace becomes break-neck. Readers will thrill at every word as the cat-and-mouse game between MILA, her mom, and her hunter intensifies to nail biting plot shocker that finds MILA and her mother fighting for their lives in the very compound and against the very people that they have fought so hard to escape. 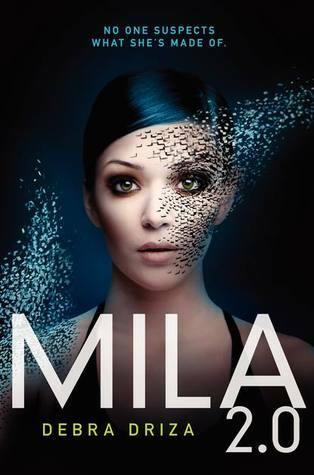 If you life your YA with a side of cyborg, an infusion of intrigue, a dash of death, and a smattering of surprise...MILA 2.0 is the read for you. I've been debating on wether I want to read this or not since there have been some mixed reviews. It sounds like an action and suspense kind of book and it sounds interesting, I think I'll pick it up eventually. 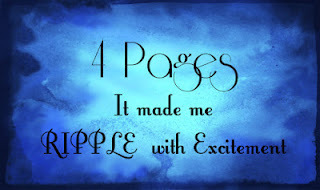 I enjoyed your review!